Wacom CTL-6100WL/K0-CX Intuos Medium Graphic Tablet is built with a light, super-accurate pen with free downloadable software to suit your style.This Graphics tablet has 4k pressure levels and ergonomic design deliver better precision and control,the battery free pen with 4,096 levels of pressure sensitivity which provides a natural drawing experience. Whilst its ergonomic design and light weight make it sit comfortably in your hand. 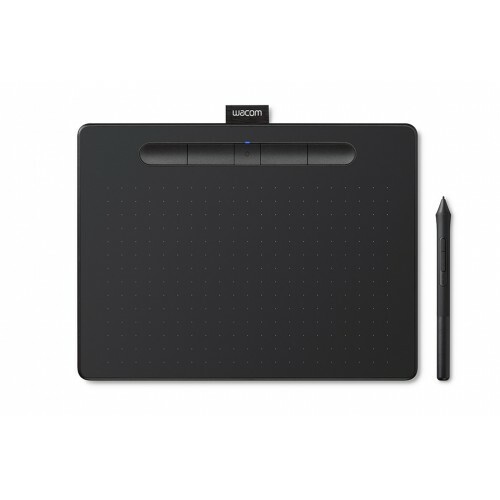 The CTL-6100WL/K0-CX Intuos has 216.0 x 135.0 mm (8.5 x 5.3 in) in active area, 4,096 levels of pressure sensitivity provides a natural drawing experience, 11.2g (0.4oz) including 3 nibs(pen), 2540 lpi Resolution, 4 customizable application-specific ExpressKeys, Bluetooth Pairing button,USB Type A to Micro B cable with L-shape plug, USB Type-A port, PVC-free USB cable with cable tidy and L-shaped connector. In this exclusive Graphics Tablet, there are 3 creative software included; these are- Corel Painter Essentials 6 (64bit), Corel AfterShot 3 (64bit) and CLIP STUDIO PAINT PRO (2 years license). Patented electromagnetic resonance method Technology is used in this graphics rablet. 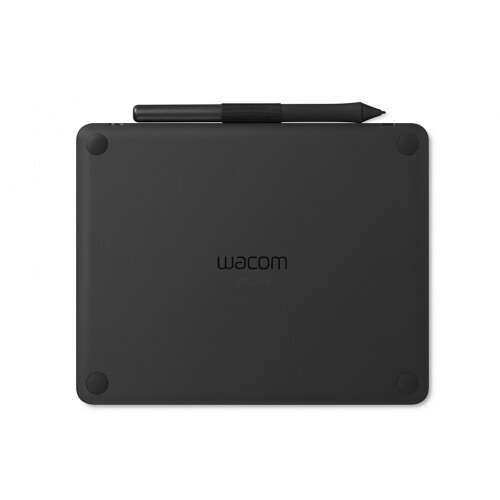 In our stock, this graphics tablet is available in black color with providing 01 year warranty.